a sort of dream, a vision." 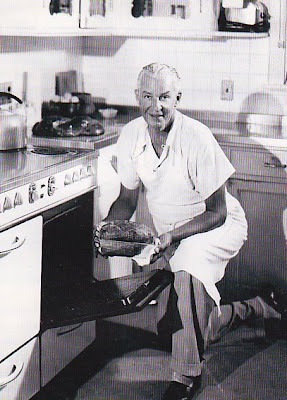 Today's Famous Food Friday belongs to none other than that famous Broadway star, Alfred Lunt. 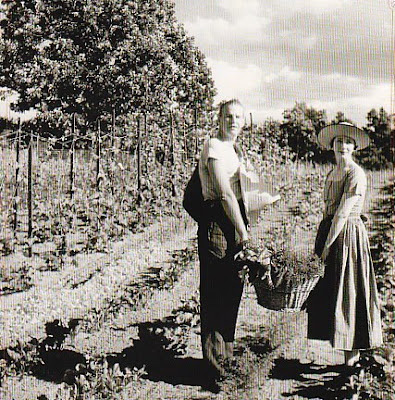 When Alfred Lunt and Lynn Fontanne retired from the stage they moved to an estate in Wisconsin to become gentlepeople farmers. Alfred Lunt falls into the last category. 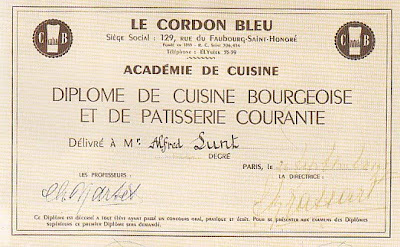 At age 65 and needing a new career path, Lunt enrolled at Le Cordon Bleu and graduated as Lynn Fontanne would say, "with flying saucepans." 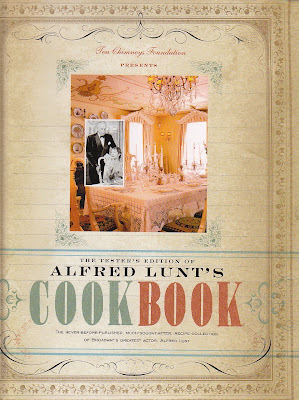 Lunt seriously considered writing a cookbook but it never saw the light of day until the recipes were discovered and the Ten Chimneys Foundation published them. This edition is artfully titled the "tester's" edition as the recipes were published as found. The Foundation encourages anyone who gives the recipes a try to sent them feedback. In the meantime, it is worth checking out their site and if you are in the Wisconsin area, tours of the property are available. You can also purchase a copy of the cookbook on the website to add to your collection. Recently, my friend Harry Lowe and I were talking about eating salmon croquettes when we were little. Harry Lowe decided he was going to try and recreate his mother's recipe. I was thinking of those salmon croquettes when I saw this recipe. It is for a salmon mousse. I still have my mother's goofy fish mold that saw more than its share of fishy mousses. I always remember them as being graciously complicated and fussy. Alfred Lunt seems to have eliminated such fuss. Put all ingredients in blender. Mix well, pour into serving dish, refrigerate at least four hours. It is better made the day before. This recipe, doubled, feeds six. If my mother had used this recipe, she could have spent more time indulging in cocktails! I am definitely dragging out the fish tin. 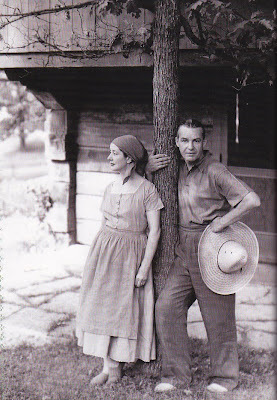 What a delight to read your post on the other life of these stage greats. Thank you.